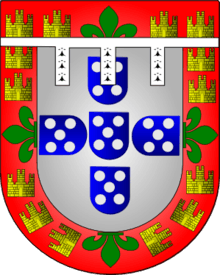 Duke of Coimbra (Portuguese: Duque de Coimbra) was an aristocratic Portuguese title with the level of royal dukedom, that is, associated with the Portuguese royal house, created in 1415, by King John I of Portugal to his 2nd male son, Infante Pedro. Pedro was regent of the kingdom but he was killed in the domestic Battle of Alfarrobeira (1449). 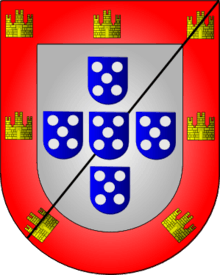 None of their children inherited this title, which was granted much later to Pedro's great-grandson, George, Duke of Coimbra, natural son of King John II of Portugal. 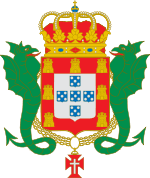 Today the title is used by Infante Henrique, the current Duke of Braganza's younger brother. Infante Henrique, Duke of Coimbra (born 1949), Prince Duarte Nuno, Duke of Braganza's third son. ”Nobreza de Portugal e do Brasil" – Vol. I, pages 255/272; and Vol. II, pages 531/532. Published by Zairol Lda., Lisbon 1989.